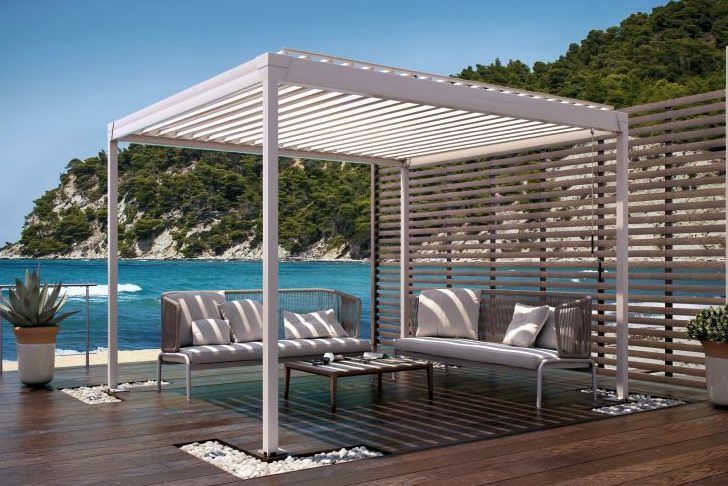 Corradi’s versatile Pergotenda® awnings will fit any architectural style, from classical to contemporary, in the innovative use of aluminium or wood, anchored to a wall or self-standing, flat or tilted. 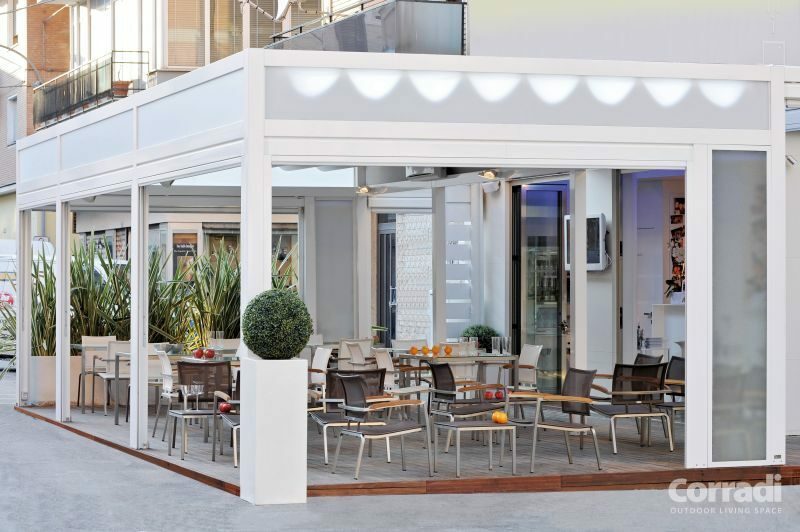 Many choices are available in these beautiful, customised and personalised patio awnings, allowing you to transform any outdoor area into a welcoming haven – even in the strongest sun, wind or rain. Corradi’s bioclimatic (louvre) awnings use a blade system that rotates to control light and shadow. This helps disperse rainwater into the integrated gutter system. The blades rotate up to 140 °, which means even the top can be easily cleaned from underneath the structure.